Darrell Harwood is a Budweiser-sponsored country singer who, in our opinion, is well on his way to the top! 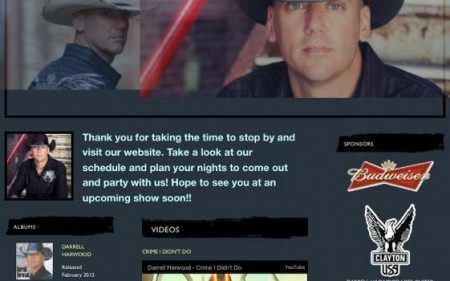 Initially, Darrell was looking for a new website where he can post shows and highlight his sponsorships and endorsements. By the time we finished, he was able to manage everything on WordPress from his blog to online store. And before launch, we enacted a lead generation campaign to help him cultivate a larger following.